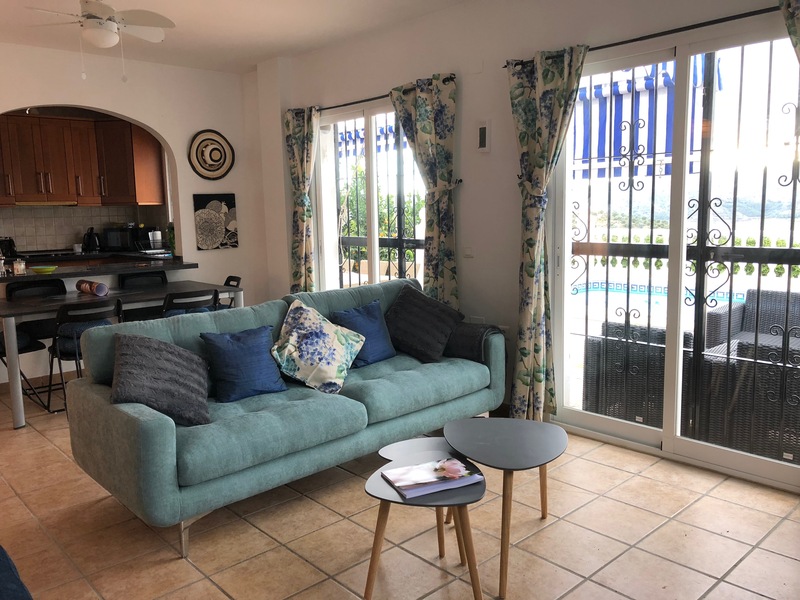 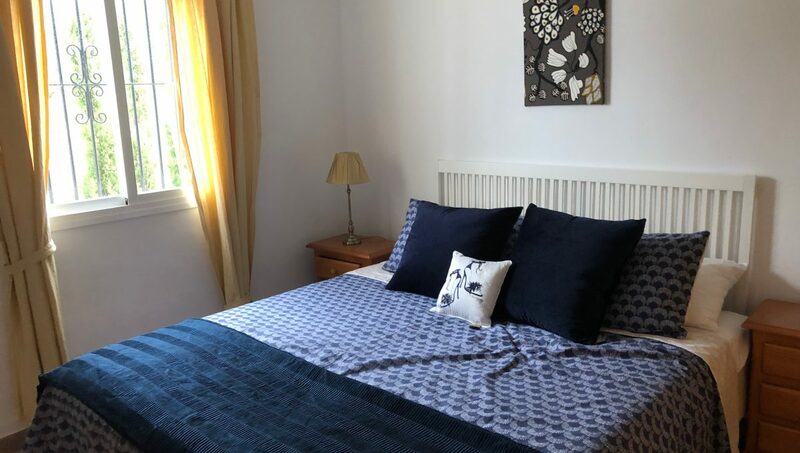 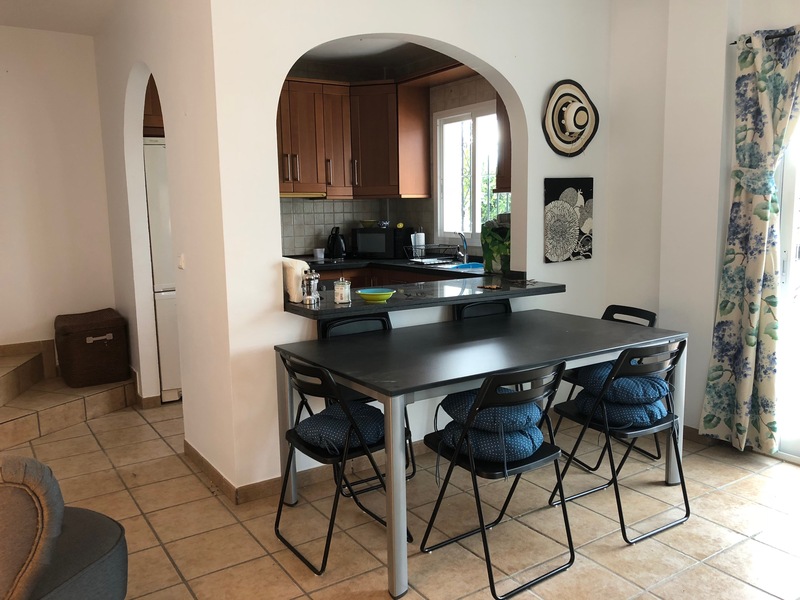 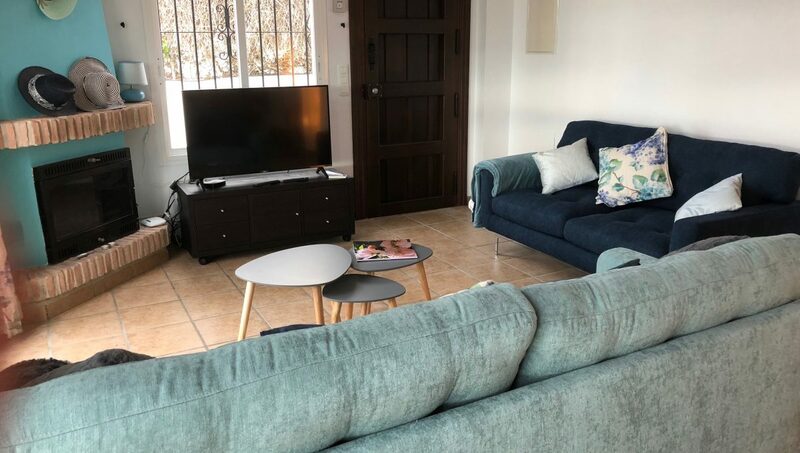 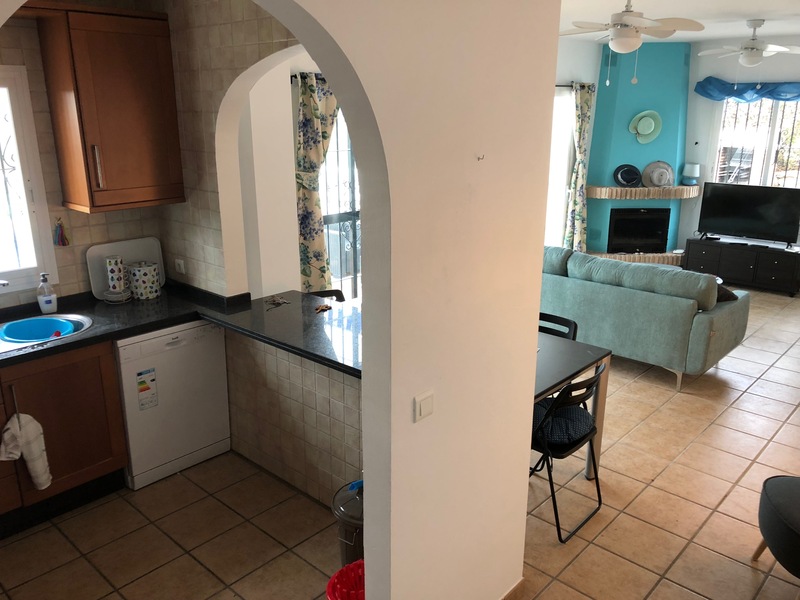 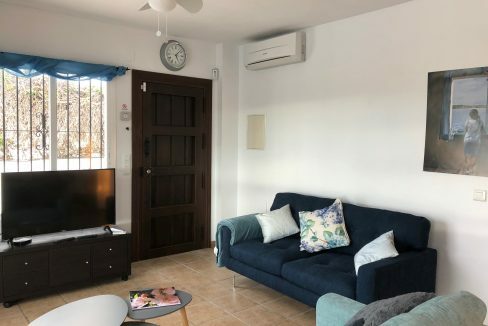 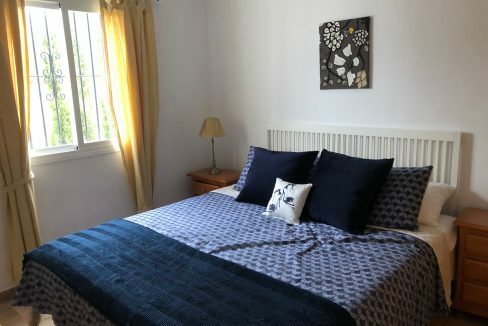 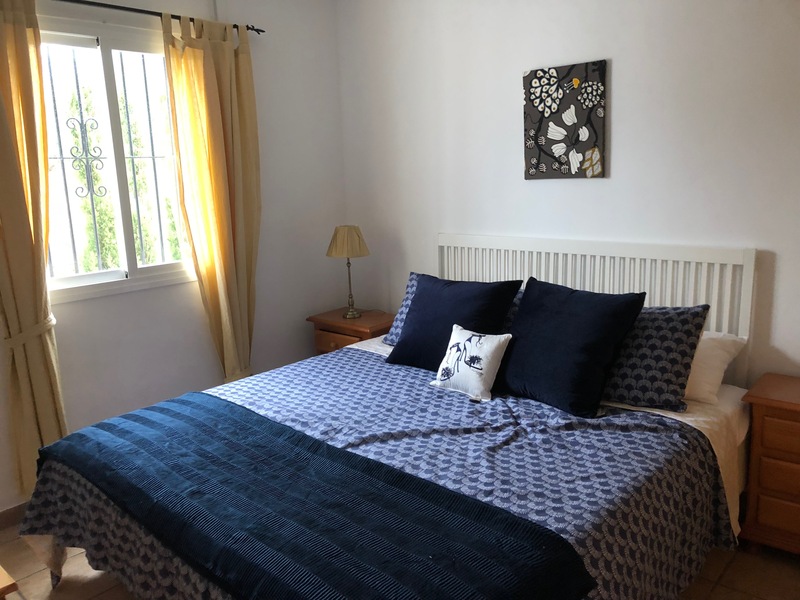 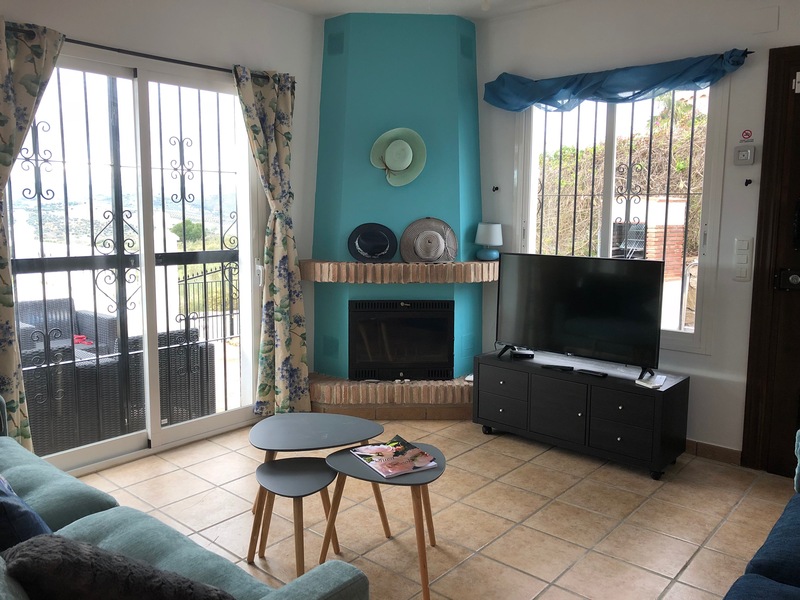 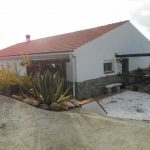 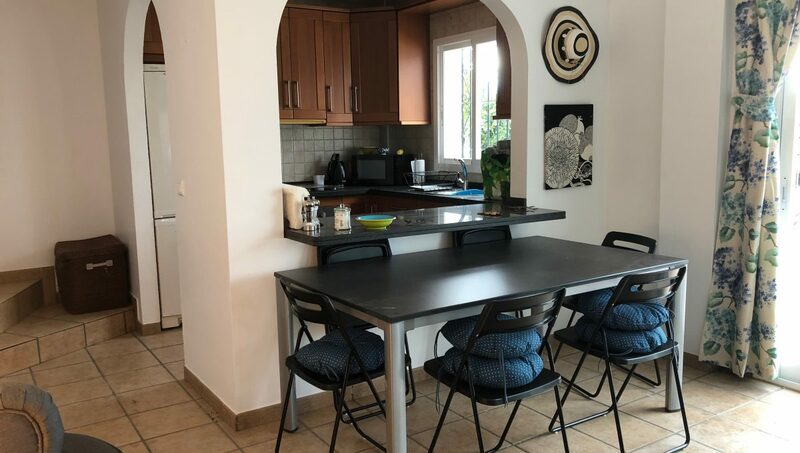 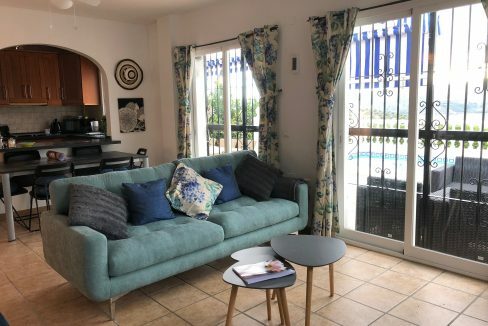 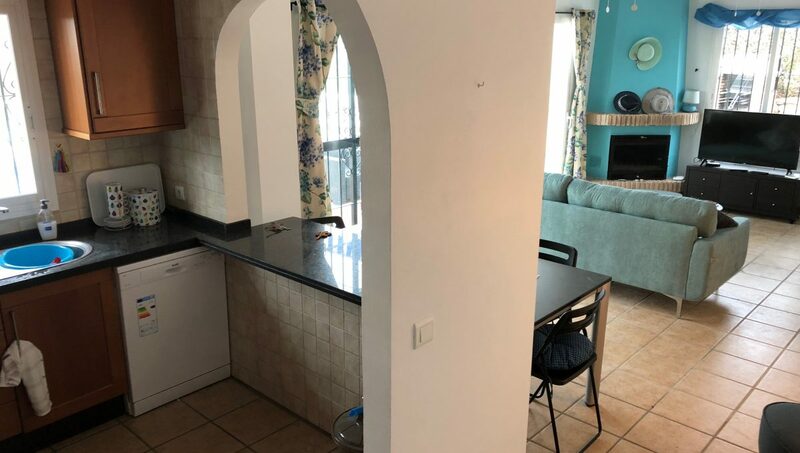 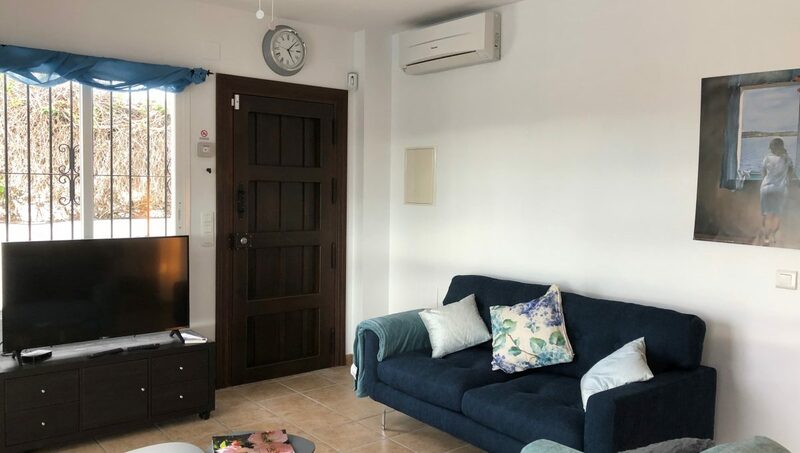 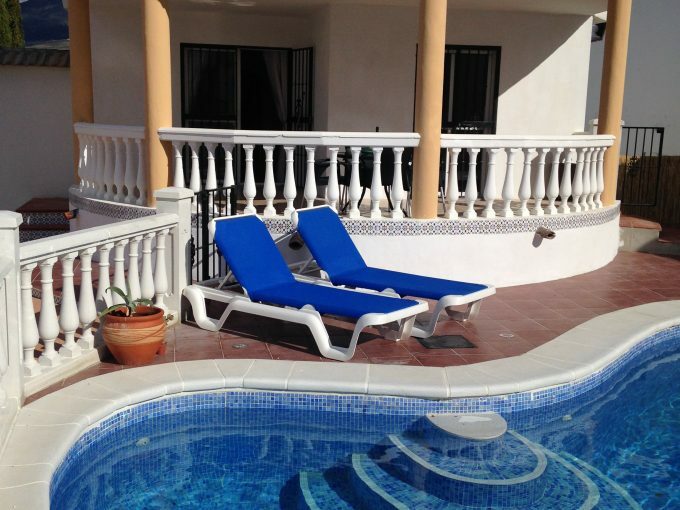 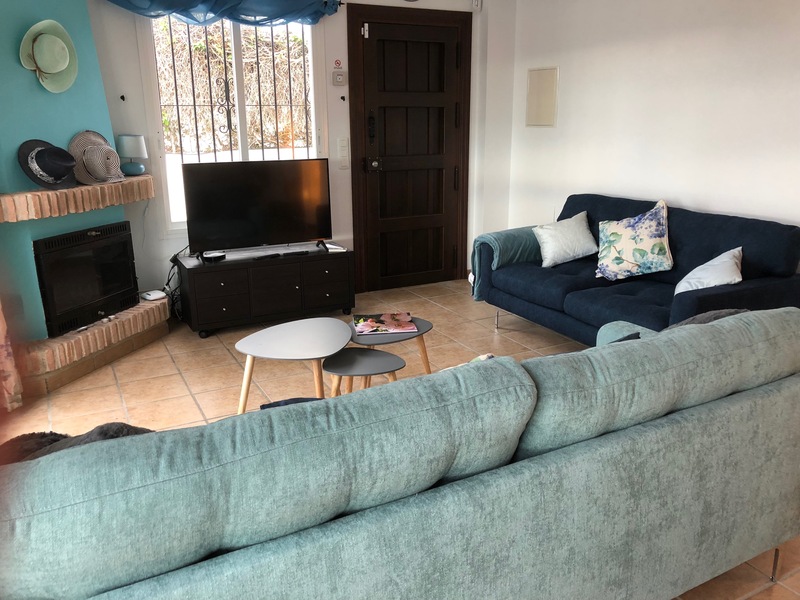 Modern recently refurbished villa, with all essentials and very homely. 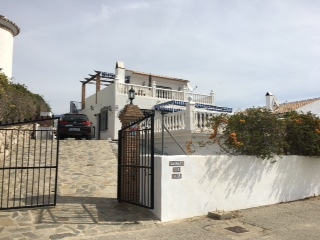 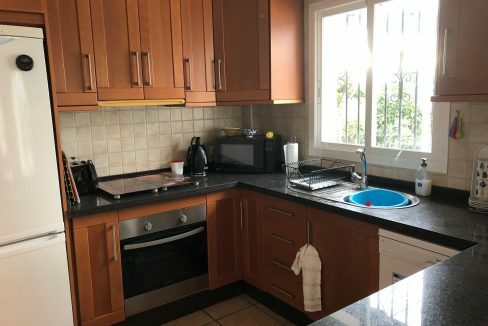 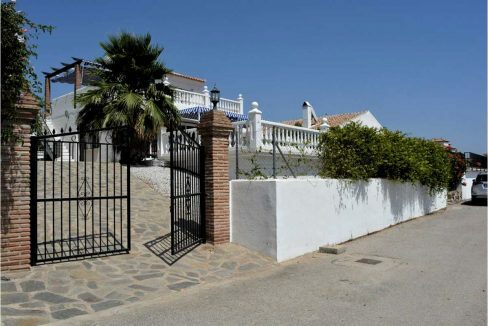 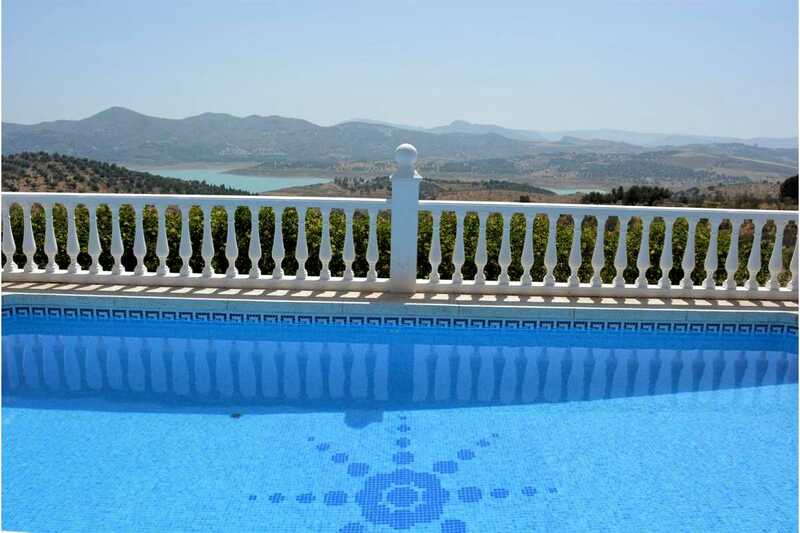 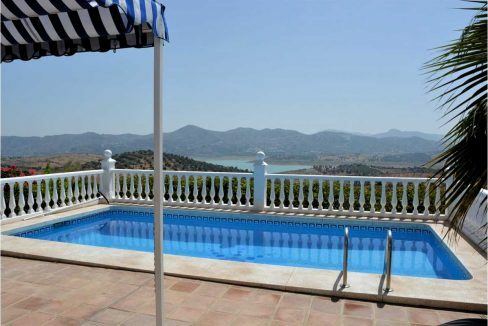 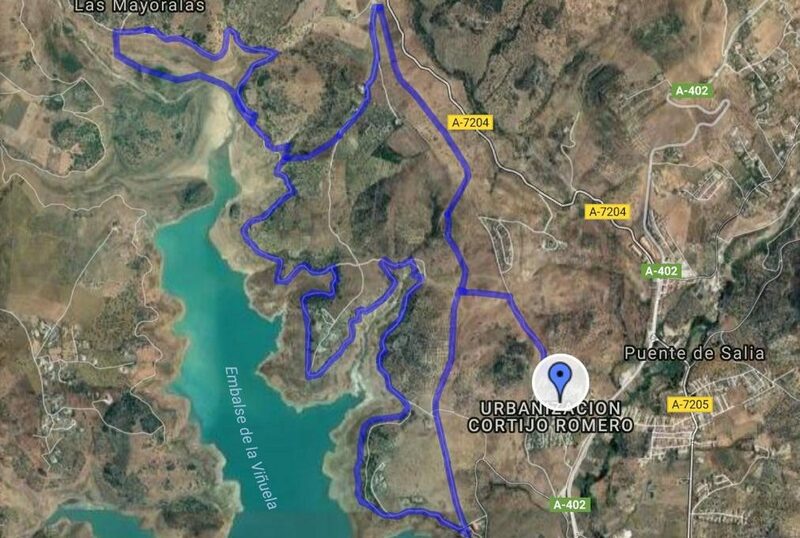 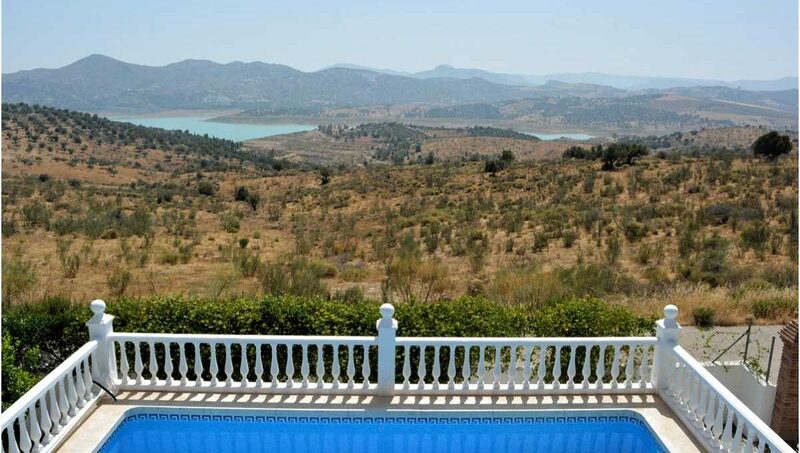 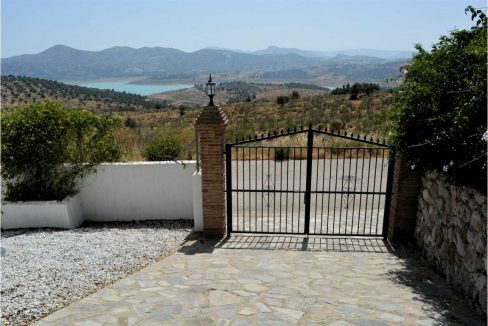 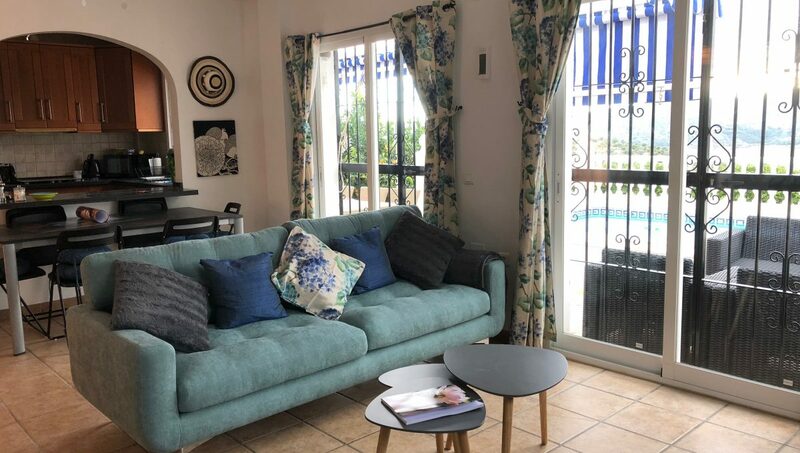 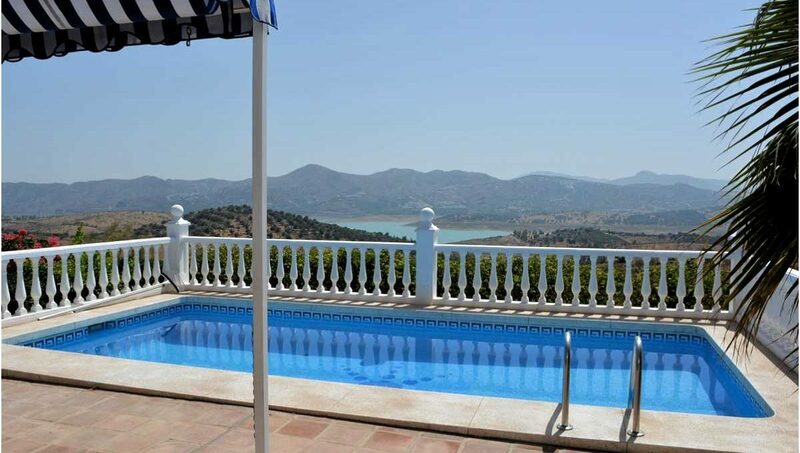 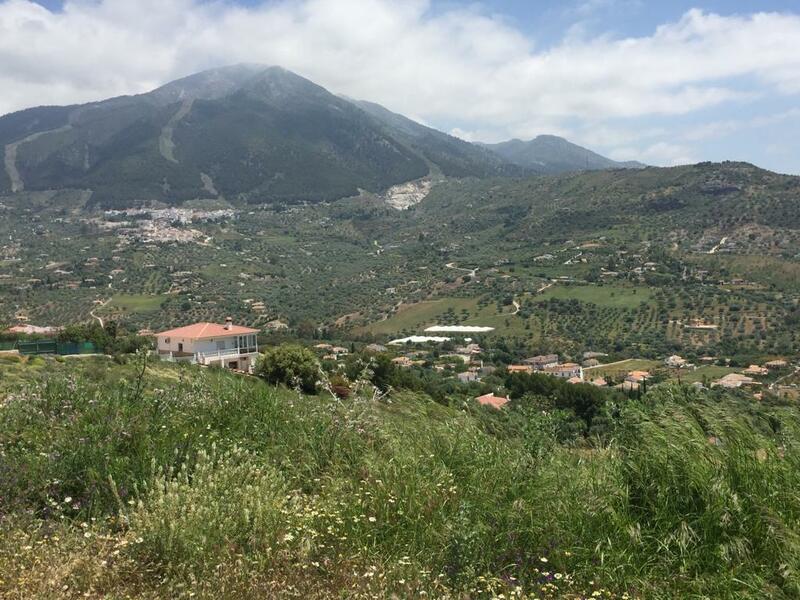 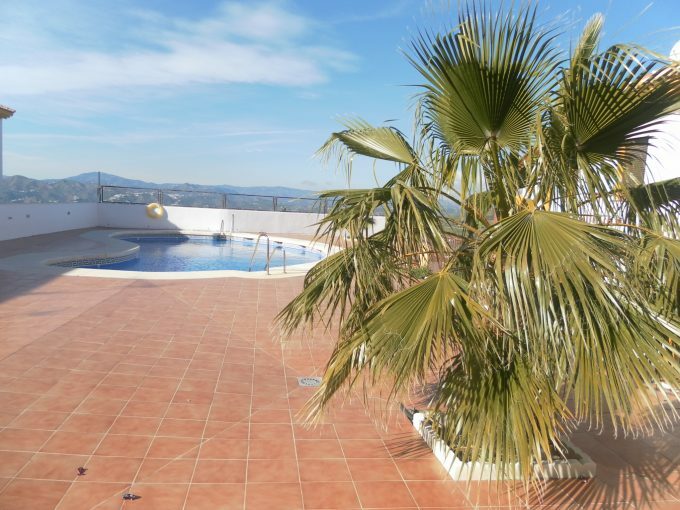 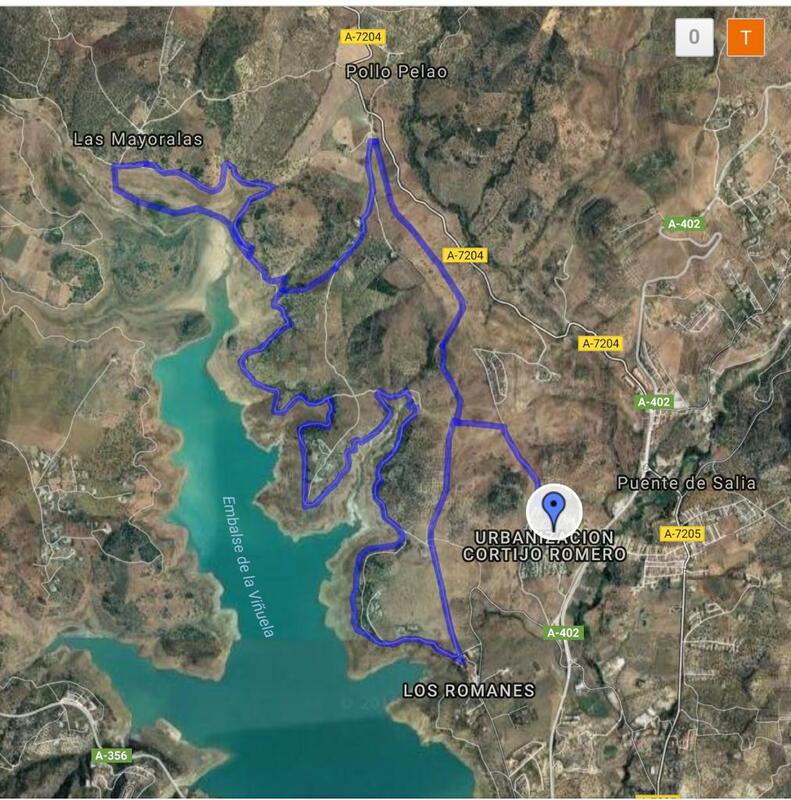 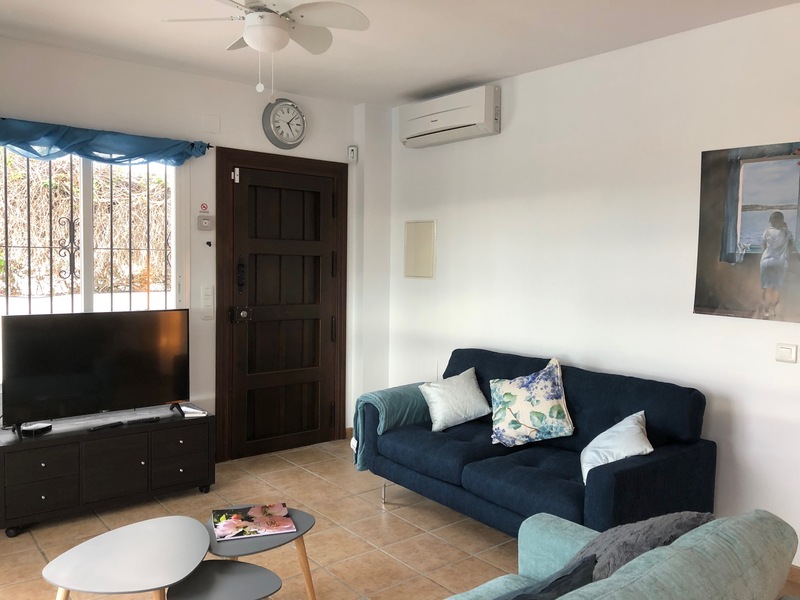 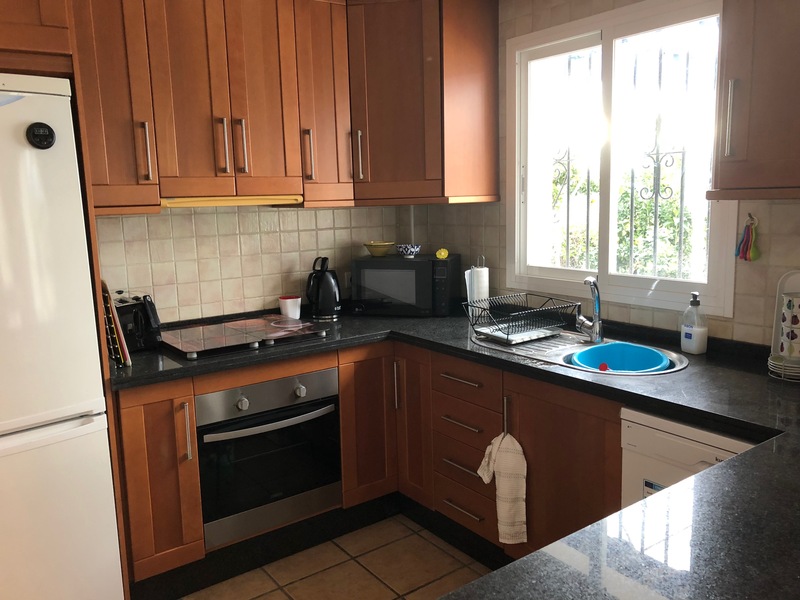 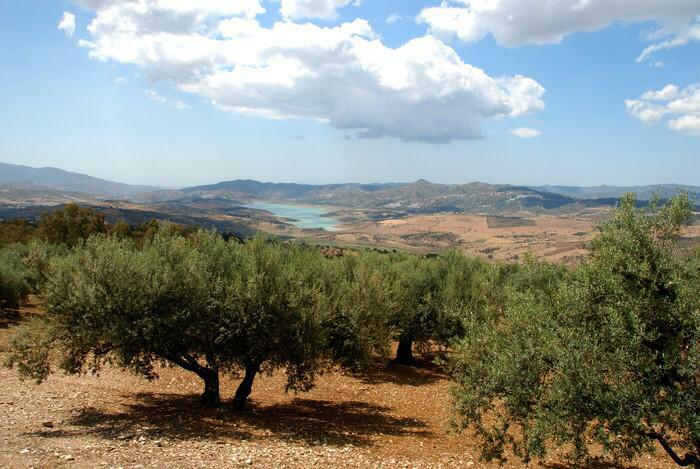 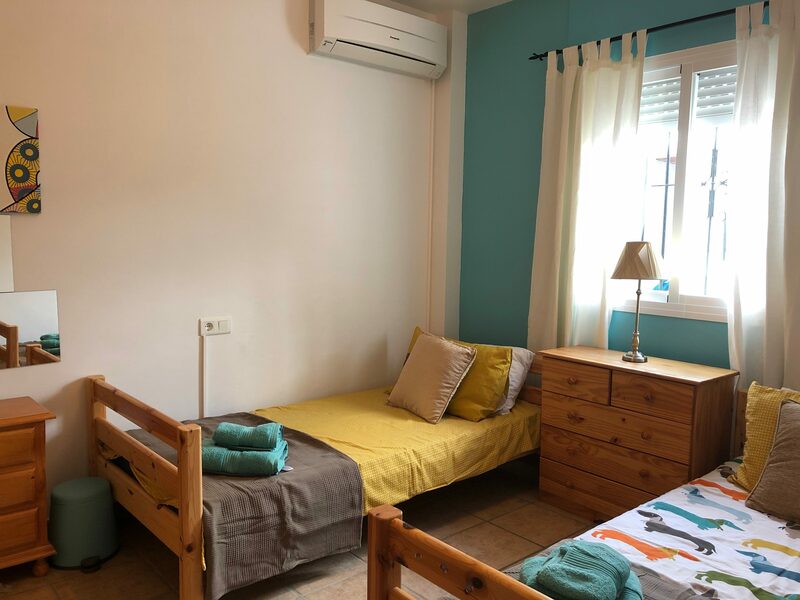 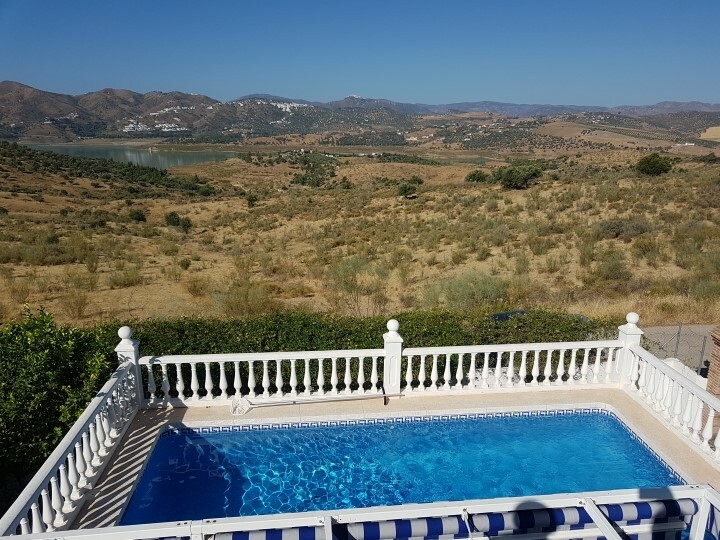 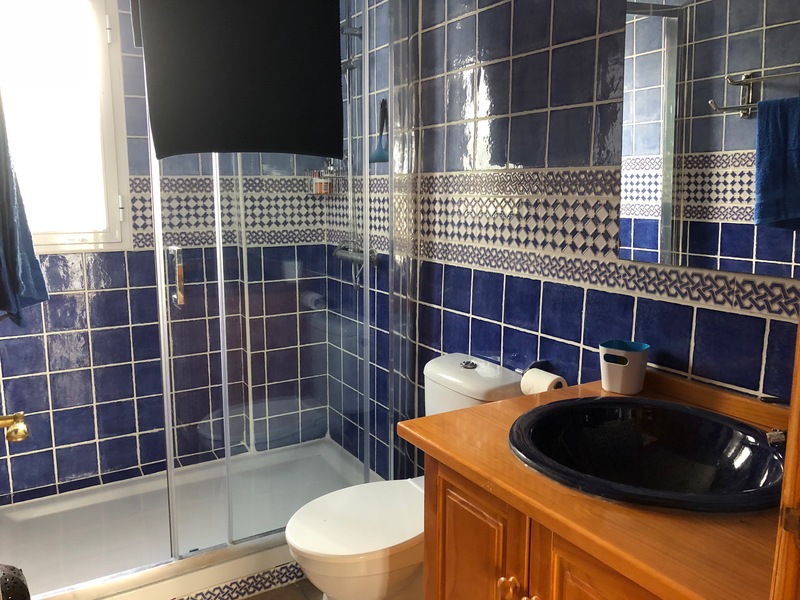 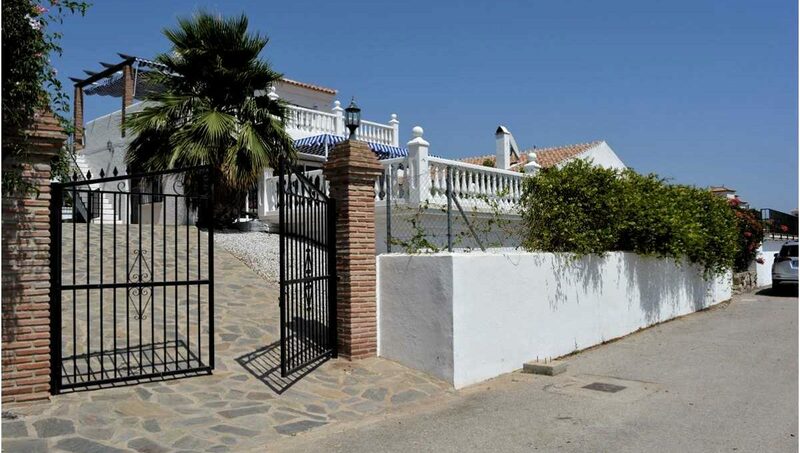 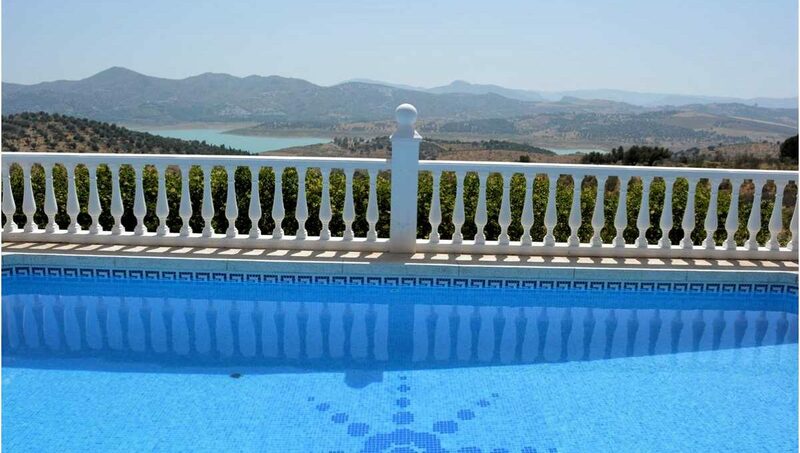 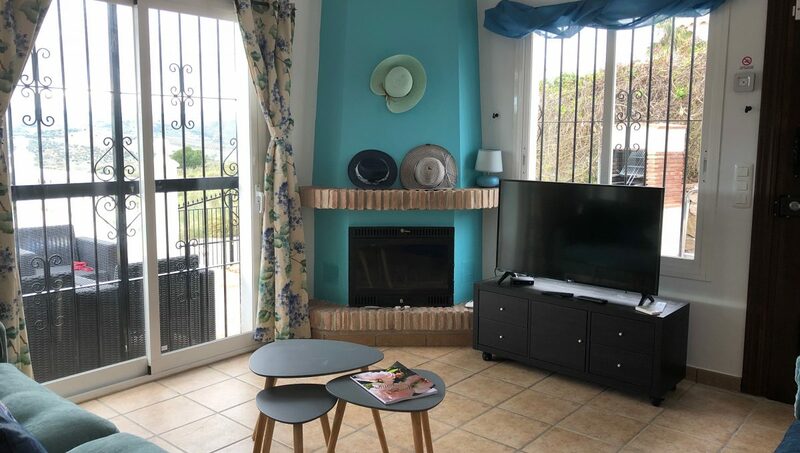 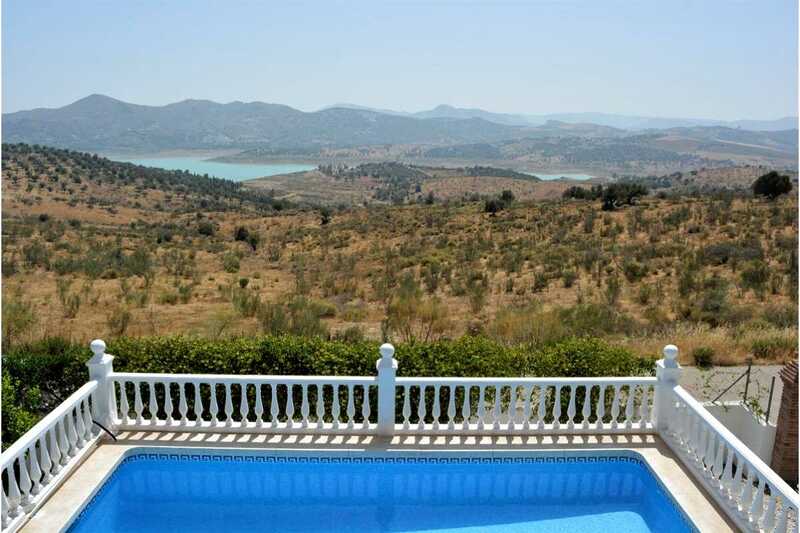 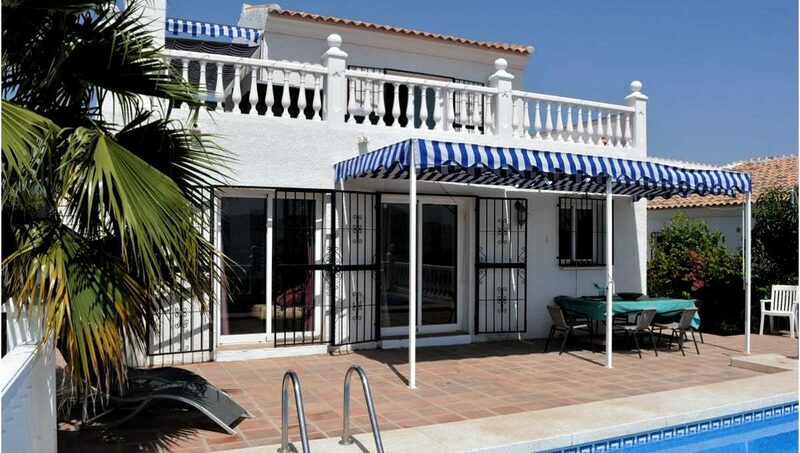 Countryside surroundings with views to Lake Vinuela and around. 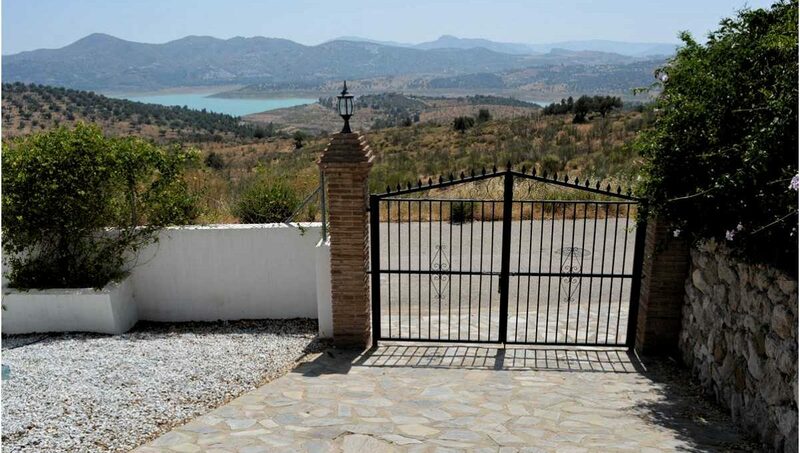 Private area and easy access. 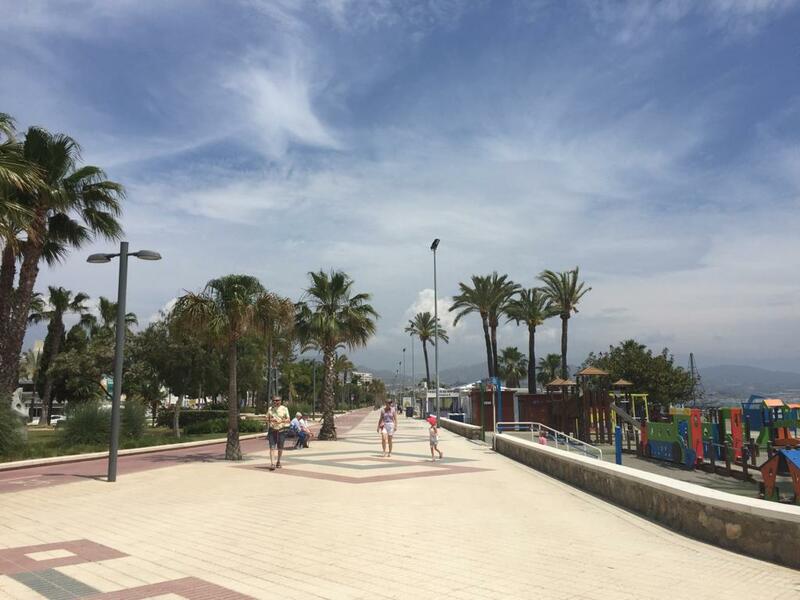 Shops, restaurants 3 mins by car. 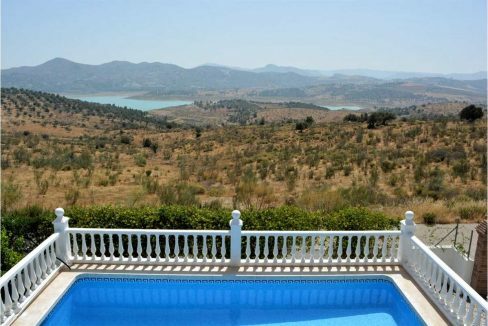 The villa is situated on a ridge giving the benefit of stunning views. 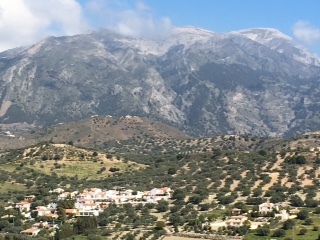 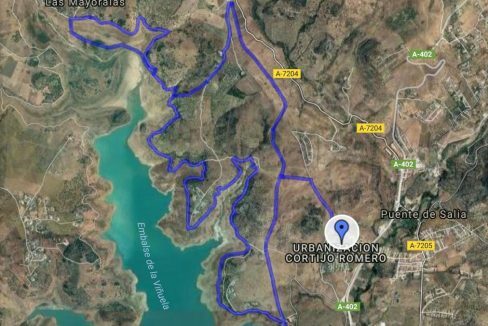 Close to local villages of Los Romanes, Alcaucin, Vinuela and more. 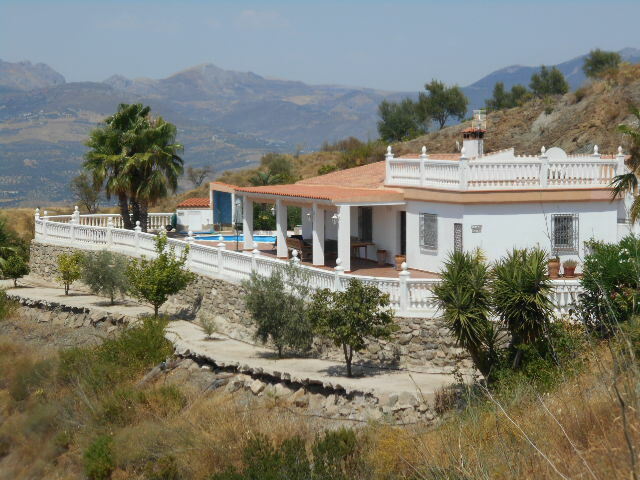 Just 50 mins from Malaga City and 1.20 hrs from Granada, and 20 mins to the nearest beach,perfectly situated. 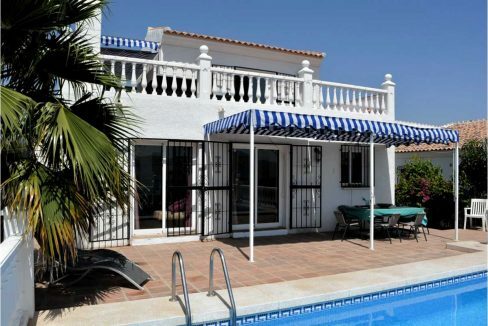 Totalling 3 bedrooms and 2 bathrooms the villa is split. 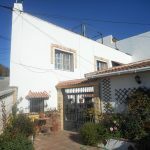 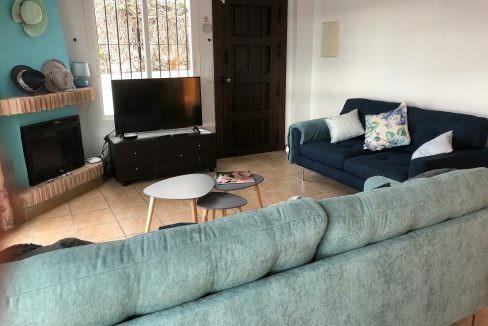 2 bedrooms and 1 bathroom on the lower level and the master with a very large terrace on the upper level. 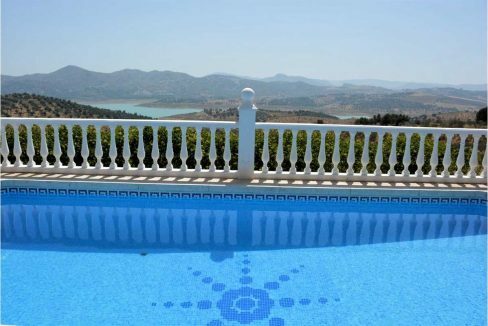 All round relaxing space and a lovely pool to dip into. 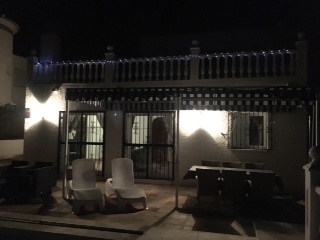 A BBQ for those hot summer nights and a upper terrace to watch the sunset and sparkly lights of an evening. 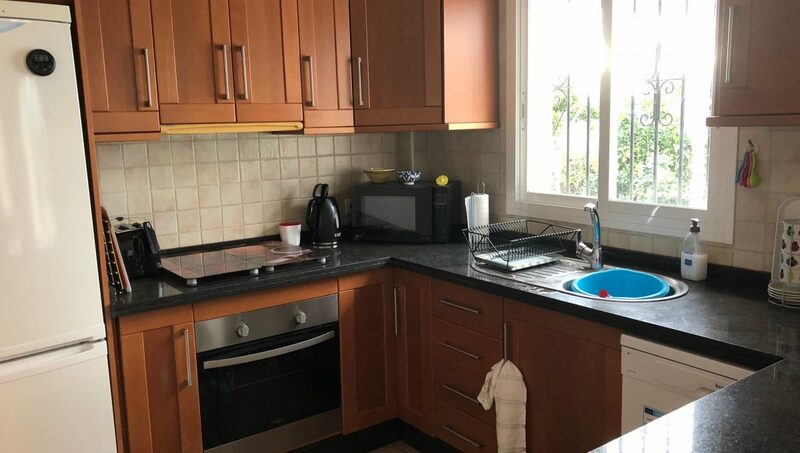 The kitchen is well fitted and has an arch to the large lounge diner with chinenea for thoes cold nights. 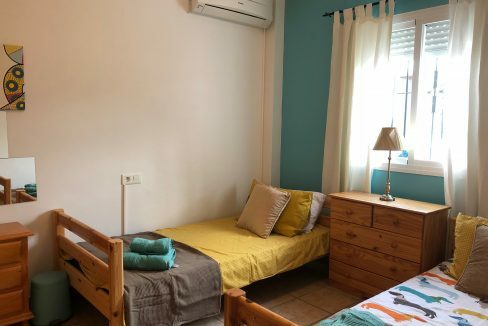 All rooms have AC . 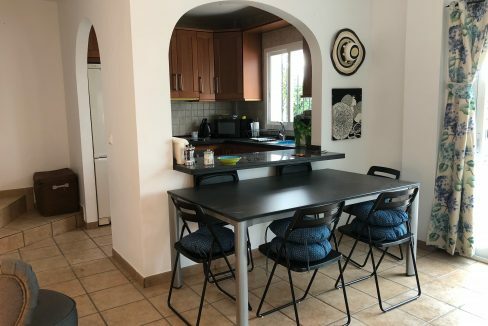 We enjoyed a very peaceful and relaxing 4 nights here in January 2017 – we were very surprised by how well-equipped this home is! 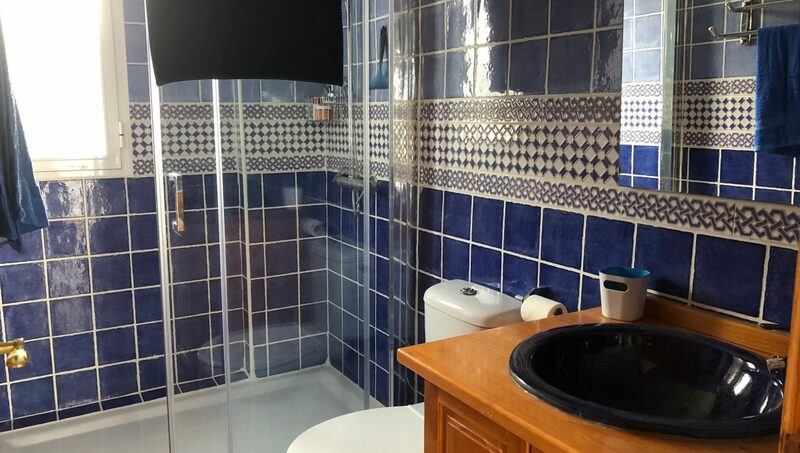 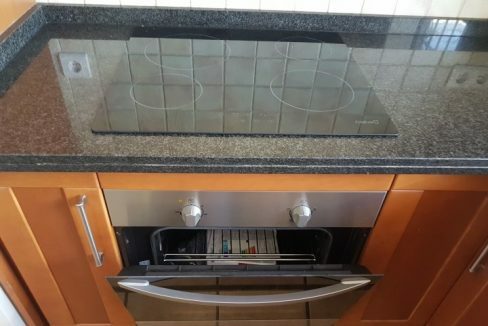 Owners have thought of everything and we were very comfortable. 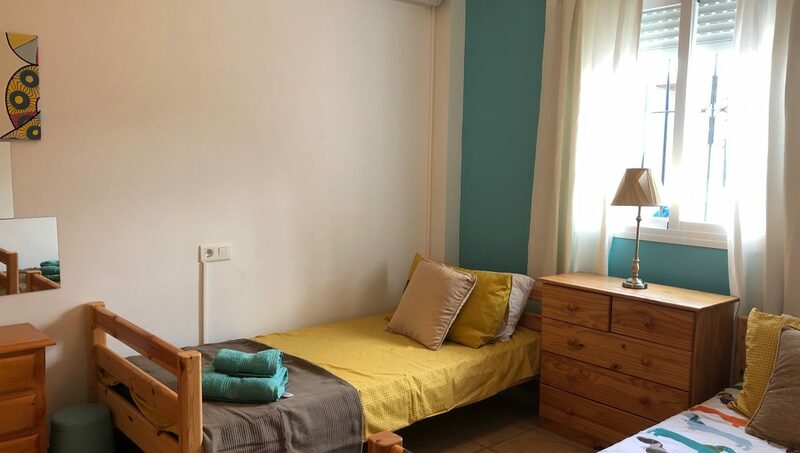 The beds are heavenly. 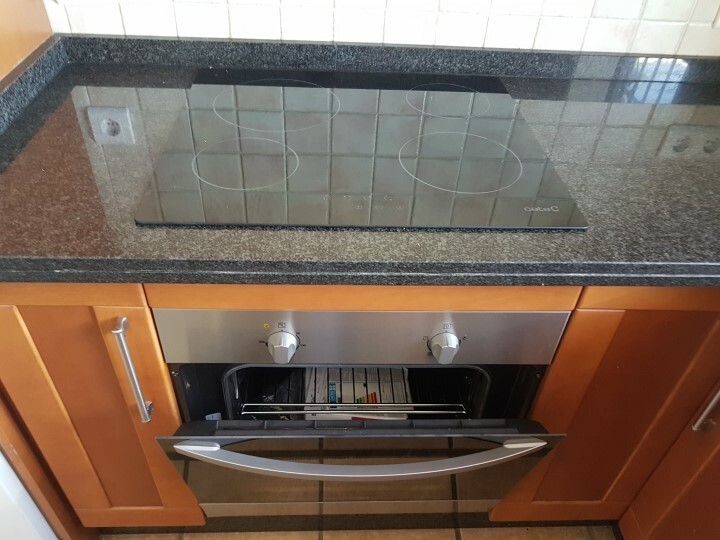 Kitchen was the best equipped of anywhere we’ve stayed, by a long shot. 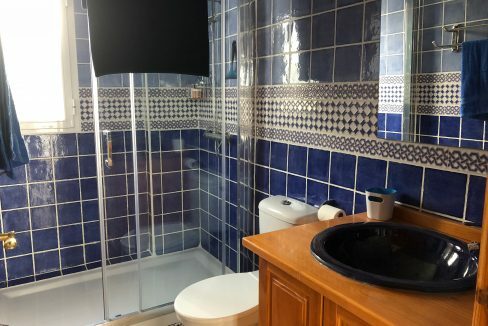 Both showers were great – plenty of hot water and fantastic pressure. 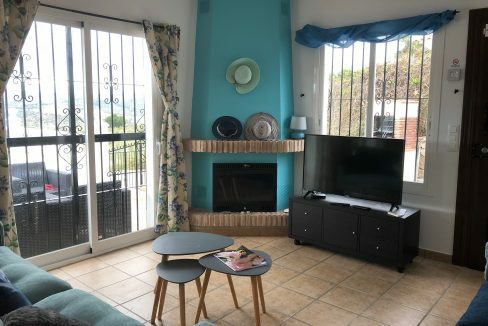 We used the fireplace at night which was really cosy. 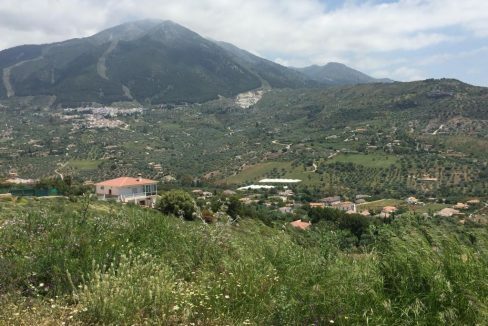 Mountain views were so relaxing and the sunsets – truly breathtaking. Easy to get into town for supplies and there are some great restaurants within reasonable walking distance (we tried the Taj Mahal and El Horno – both excellent). 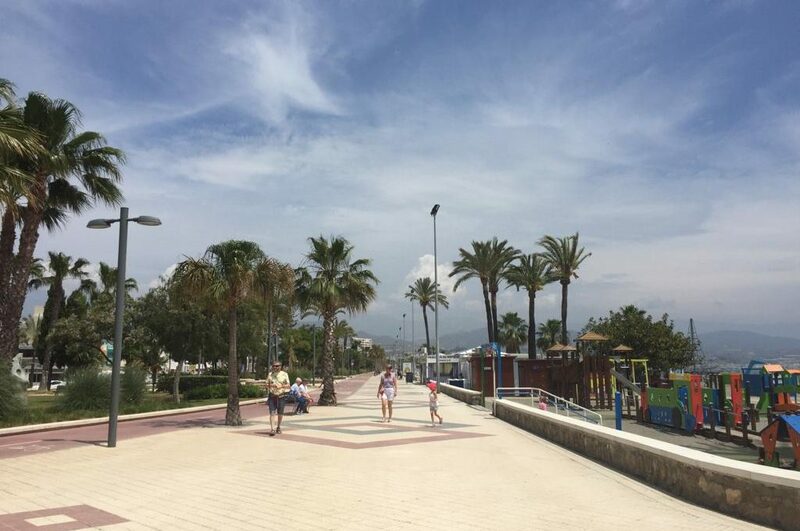 We’d love to come back!